Jerry's last show. 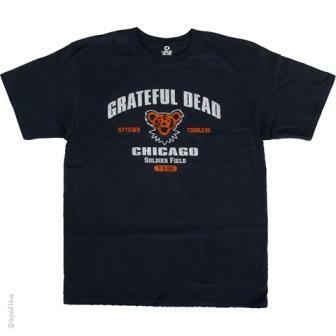 Soldier Field, home of the Chicago Bears is where the Grateful Dead with Jerry Garcia played their last shows in July 1995. This t-shirt pays tribute to those shows. Officially licensed Grateful Dead merchandise.